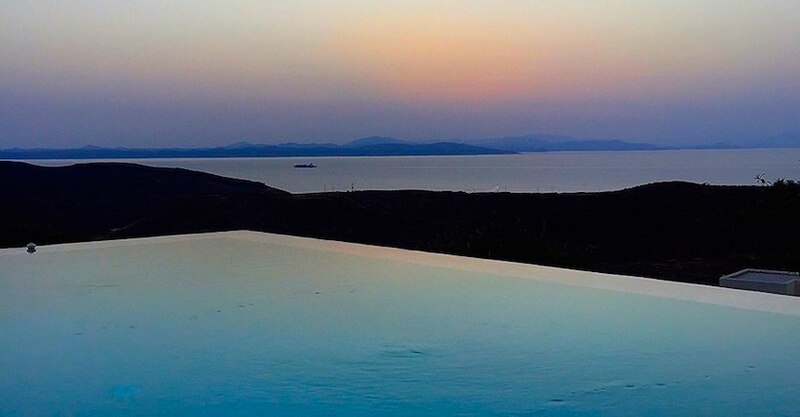 On the ancient, mysterious island of Kea, is AGRIKEA, a contemporary, stone built, home-stay perched on a hillside with panoramic views of sunset, sea and the far lights of Athens. Like all beautiful things, it was created from a combination of ideas, fortunate co-incidences and hard work. 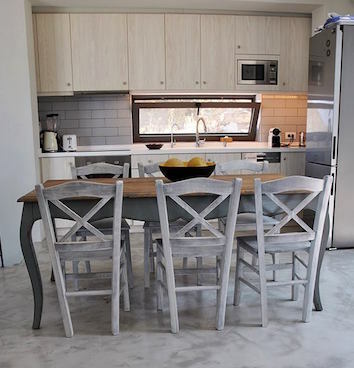 A career move from London to Athens initiated a change in direction for Agrikea's creator and owner, Haris Fevgas, he visited Kea one summer weekend and decide this was some place special. Renting a small house on Kea he explored and fell in love with the island. In summer 2007 a dramatic fire engulfed the Roukounas ridge below the hill town of Ioulida. 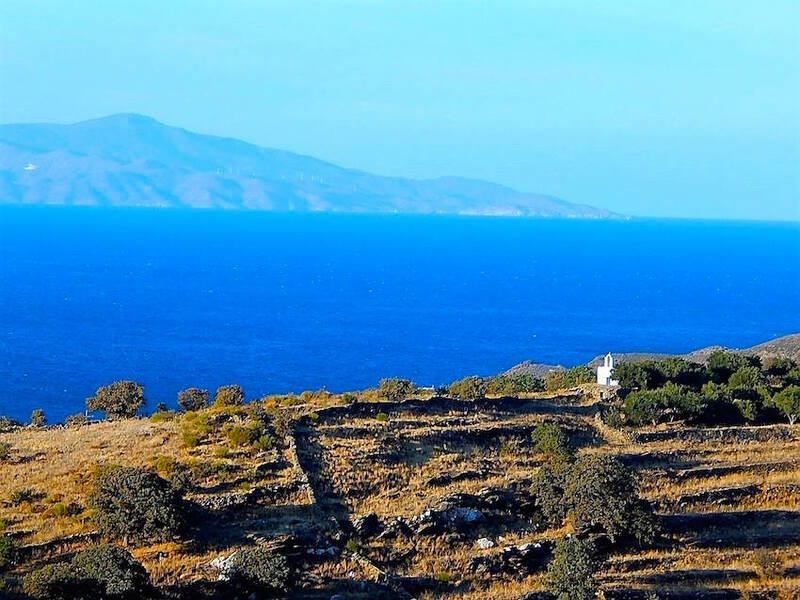 Over the following years, the Greek ecological miracle occurred. The charred remains turned green and were covered with wildflowers. Young oaks and almond trees started to grow. 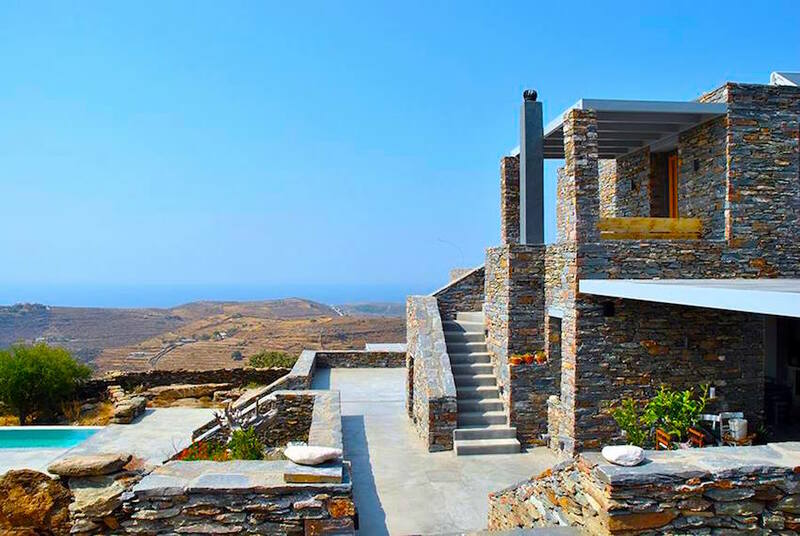 The land situation, on a northwest facing hillside with beautiful, expansive views of the sea, islands and near, rocky ridges, provided pleasant breezes and absolute peace and quiet and was therefore, a perfect combination of factors which could not be ignored. By good fortune it was for sale. During the peak of the Greek economic crisis, Haris decided to take a risk on this uncertain new project. 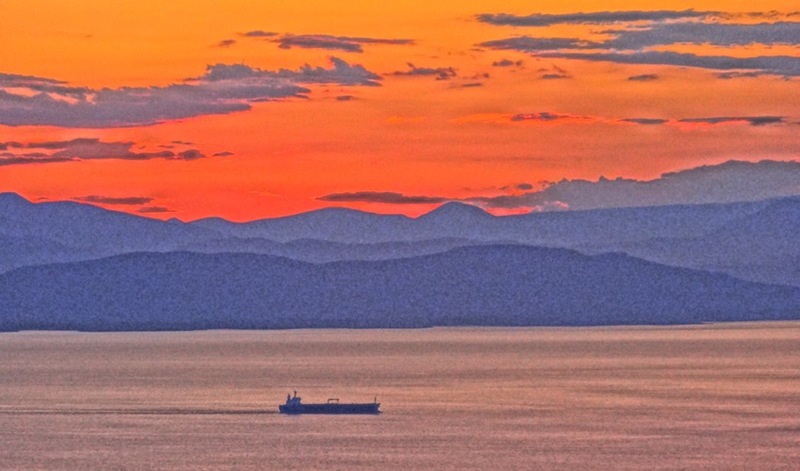 Having experienced firsthand, long working hours in the corporate world, he wanted to share with others the peace and beauty that the Kea environment offered. The life and energy of the land was inspiration and hope for the future. His vision was for all season tourism on Kea, with a focus on encouraging hiking and enjoyment of the natural beauty and local culture, extending the experience for visitors rather than limiting it to a beach holiday only. 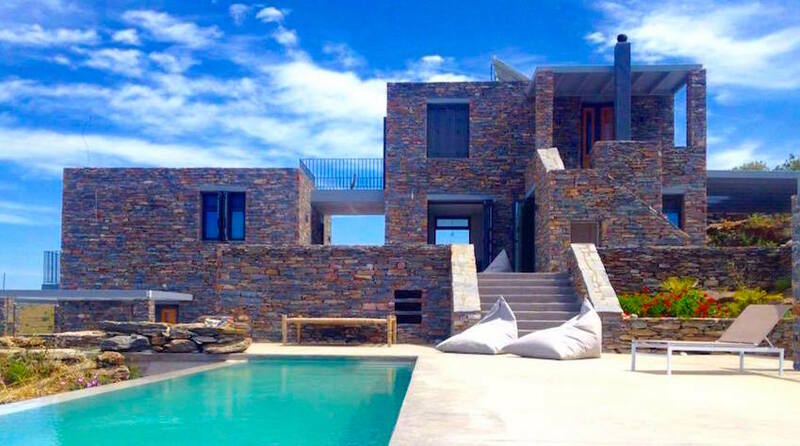 Using the stone from the site and the vernacular cubic style of Kean architecture, the contemporary guesthouse was fitted into the rocky terraces, creating a natural permanence. The terraces were replanted with gardens and orchards. The sea, sky, hills, and garden are each parts of a whole, seamlessly welcomed into the building. The important concepts of energy efficiency with solar assistance, water conservation and treatment, land restoration, conservation, bio-diversity with productivity and avoidance of agri-chemicals have been vital considerations throughout the project. The building is designed in such a way to use the natural movement of air with the use of ceiling fans for cooling without using air-conditioning. The swimming pool is cleaned with eco-efficient technology. 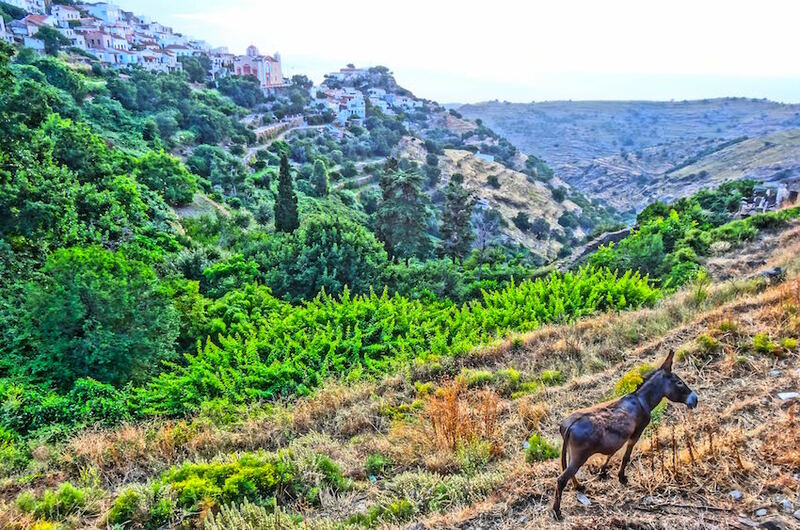 The winding, rural road to Agrikea, offers beautiful vistas and a connection to the geological processes, the farming culture and natural vegetation that makes Kea special. To drive the 4km, from the port is a short journey into another world, one which never loses its charm. The need to drive slowly makes the journey a beautiful adventure, farm animals wander the road, falcons perch in the trees, lizards sunbath on the stone walls and in winter and spring, flowers are everywhere. It's a journey to a natural and peaceful space, physically and psychologically. 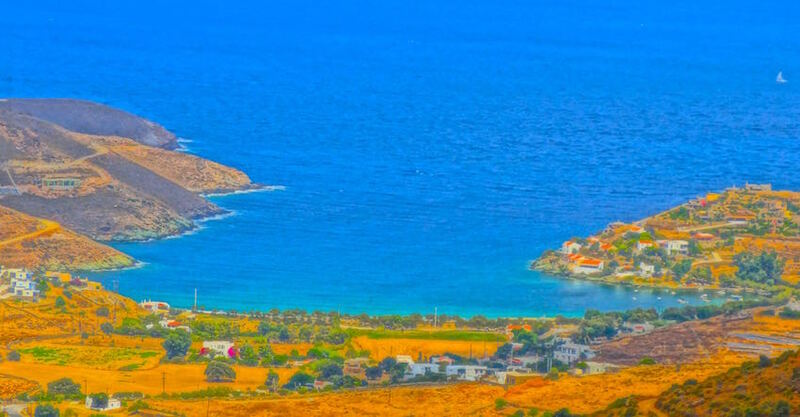 Agrikea is ideally located to be both secluded and still relatively close to the social life of the island, the restaurants, cosy bars, nightclubs and cafes. It also provides easy access to both west and east facing beaches. 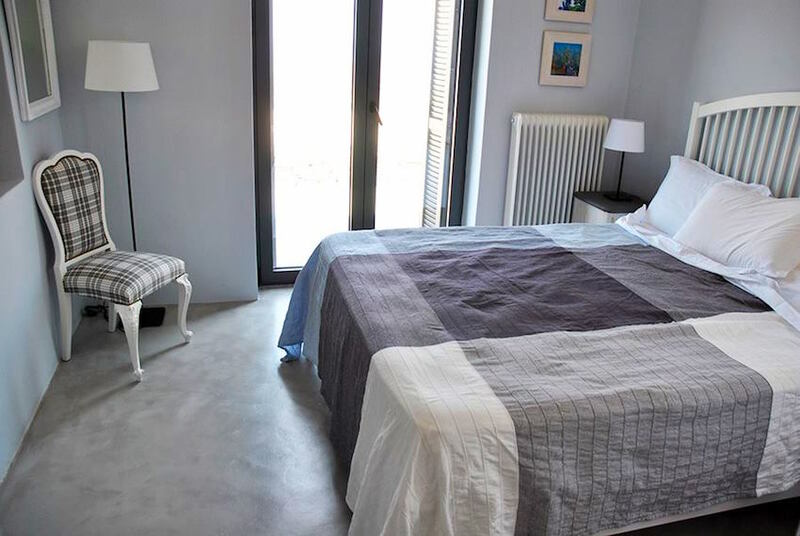 The ethos of the home-stay as a natural refuge from city noise and stress means that it is more suited to adults. The architecture and natural surrounding beauty would be nothing without the human factor. Haris has travelled extensively throughout the world from Australia & New Zealand to North and South America, India, China, and Europe. He has experienced hospitality first hand and in all these different cultures. The common denominator being the memorable warmth and kindness offered to him as a guest; this is what he wanted to offer at Agrikea. 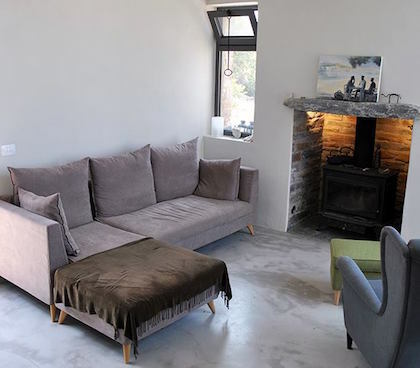 A home away from home and not an impersonal hotel, a refuge where visitors became friends with each other and him, while still enjoying their privacy, peace and quiet space. He thinks it's working well, when on a warm summer evening at sunset, you hear the guests from different countries, laughing and chatting together around the pool, with a drink in hand. The first year for Agrikea guesthouse is almost over and in looking back, many of the ideas have been achieved. It’s been a pleasure meeting people from around the world and all walks of life but with the common desire to experience something special and to see this island for what it truly is... not only beaches and sea... but a friendly island community, delicious food and natural products, hills, ravines, ancient paths and civilizations with an amazing ecology. Kea is such a unique island with something for everybody. It's one of those few places left in the modern world with its own identity. Agrikea offers free pick-up and drop-off at the ferry but because of its location you will need a car or a motorbike to explore the island. Agrikea does have free wi-fi too.